Grade 3-5-These books open having a general breakdown of the topic plus a delineation in the basic materials and needed equipment. What follows are 9 or 10 projects on double-page spreads, with simple numbered directions and clear, colorful photos from the steps and materials, and girls and boys displaying the finished products. Many in the designs are produced from multicultural sources. Decorative Painting shows the way to decorate wooden spoons, jars, gift boxes, eggs, and rocks; tips on how to use trompe l’oeil techniques; and how you can make a mirror framed by the Picasso motif. 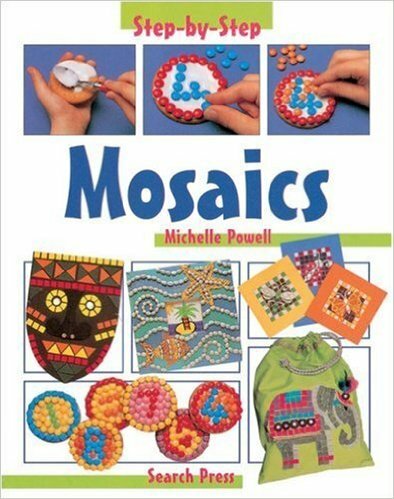 Mosaics includes directions for the African mask, Egyptian necklace, along with a book cover by having an Aztec design. Paperfolding shows more clearly than most books of the type the way to make hats, airplanes, a pinwheel, cards, a mask, and boxes. Each activity also offers “Further Ideas” for other projects or enhancements. Reproducible patterns are contained in all three books. Safety warnings are marked throughout having a red box as well as an exclamation point. Although some materials and inexpensive equipment may need to be purchased, it is all totally available where school supplies are purchased. Similar in scope and elegance to the “Step-by-Step” series (Kingfisher), these new books are easier plus more appealing this can exclusive using photos. Solid additions for the ever-popular crafts section. Copyright 2001 Reed Business Information, Inc. –This text identifies an away from print or unavailable edition in this title. This entry was posted in Children's Books and tagged Mosaics (Step-By-Step Children's Crafts).